Venus Bridals…the very name evokes images of timeless beauty…the feeling of romance….the essence of glamour…all these things you’ll find in a Venus bridesmaid gown. At Venus, we’ve created a vast array of styles, gathered into wonderfully diverse collections, each collection distinct from the others, so that the Bride may choose a gown which expresses her own individual beauty and unique personal charm. 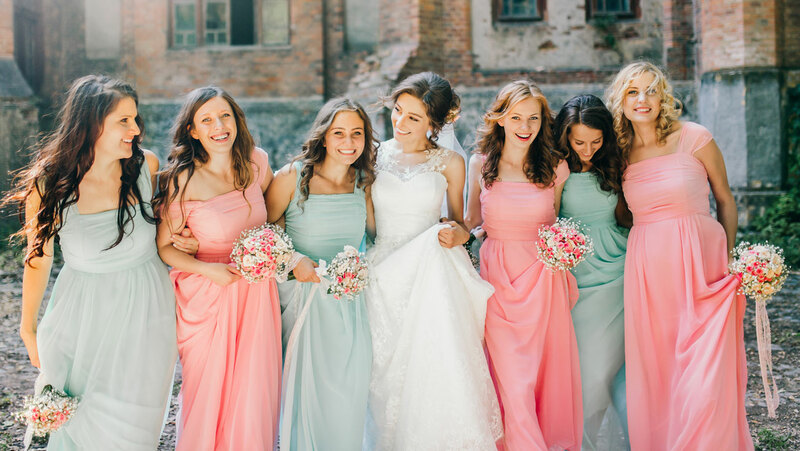 With colors, long and short, a wide selection of styles and fabrics to fit the shape and budget for every member of the bridal party.